August 14, 1896 was the start of the colourful and meaningful life of Albert Ball. He was born with an ambitious father, Albert Ball Senior and a pretty Mother Harriet Mary Page. He enjoyed the company of his siblings Cyril and Lois. He has moved from Grantham Grammar School to Nottingham High School and then Trent College. He is inclined towards 'hands on' things like photography, carpentry, modelling wood and metal. He went into business but during the First World War, he joined the Robin Hood Battalion of the Sherwood Foresters. He was one of the highest scoring fighters that when he died, it was a national mourning. Albert was born on August 14, 1896 to loving parents Albert Ball and Harriett Mary Page. He had a brother and sister who grew up with him in moderate wealth. Albert first went to Grantham Grammar School but was later transferred to Nottingham High School. At the age of 14, he enrolled in Trent College in Long Eaton in January 1911 and stayed there until 1913. He never excelled in school because he was more interested in photography, carpentry, playing the violin, modelling wood and metal. He left school at the age of 17 with his parentsï¿½ blessings. He started business, the Universal Engineering Works. This was located right beside the place where Albert was born. Universal Engineering Works was a small electrical and brass founding company located in Castle Boulevard. Albert Ball lived in a moderate wealth together with his siblings. He had a brother named Cyril and Lois, his sister. His father, Albert Ball Sr., was a plumber before becoming a successful business man. The rapid success of his father in the family transferring from one place to another which meant, they had numerous different addresses. It was in Lenton Boulevard that Albert Junior was born. Because of his early death, he was never married. He was engaged in 1915 to Dot Allbourne but was failed due to his constant interest in other women. Thelma Starr was rumoured to be the women that finally wrecked their engagement. At the outbreak of the First World War, Albert Ball enlisted in the British Army. He joined the Robin Hood Battalion and soon after was promoted to a sergeant and then trained recruits. He was displeased with this work and transferred to the North Midlands Cyclist Company, Divisional Mounted Troops. He was still confined within his post but he was able to see 5 of his men go to the front line in France. In June 1915, he started private flying lessons so his knowledge of engineering could be put to use and he would be able to see active service in France. His pilot training in the Ruffy-Baumann Flying School cost him ï¿½75 to ï¿½100 but it paid off as he qualified and joined the Royal Aero Club on October 15, 1915. Based on his new pilot status he was transferred to Royal Flying Corps. His first few flights were unsuccessful because he had only 15 minutes experience of flying a plane solo. During his flying service he was known to be a lone-wolf pilot. He stalked his prey until he was close enough to attack the enemy. When he was not flying, he spent his time cultivating a little personnel garden or playing his violin. His was not anti-social, he was just to shy to mingle with the other squadron pilots. 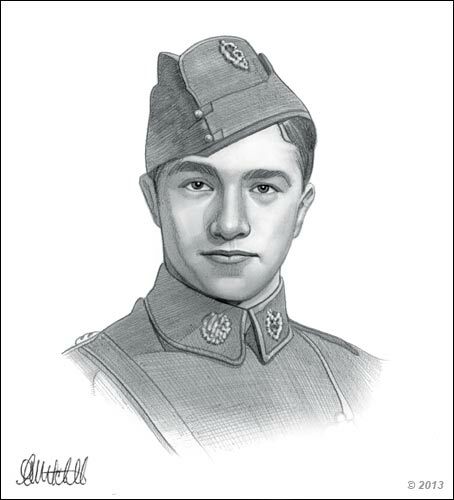 His first aerial victory happened in May 16, 1916 when he shot down a German plane. On June 25th, he became a balloon buster when he destroyed a balloon observatory with phosphor bombs. 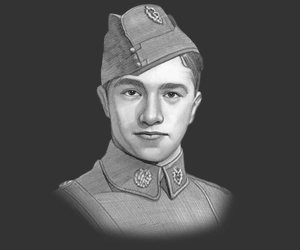 On July 2, he shot down another two enemy aircraft flown by Roland C II and Aviatik. His victories continued until his 20th birthday when he was promoted to a temporary captain with No. 11 squadron. His bravery, leadership and skills were not left unnoticed by his superiors in the military but also the people around him. During a mission on the evening of May 7, 1917, he was involved in a dogfight with Jasta 11, this was destined to be the final battle of his career and life. On April 1917, he joined No. 56 squadron which was deployed on the Western Front. On May 7th he was seen flying his S.E.5 in combat with a German single-seater plane of Jasta 11 entering deep clouds and both aircraft crashed probably a result of collision. On May 7th his body was found in the wreckage. He is buried in Grave 643, Annï¿½ullin Communal Cemetery. Although Albert Ball died at a very young age, his legacy continues. If you recall, when his famous enemy Manfred von Richthofen learned of his death, he said "by far the best English flying man". His death brought misery and mourning, not only to his fellow pilots in the RFC, but to the whole nation who had had been made fully aware of his skills and courage for reasons of morale on the home front, essential during this dark period of world history. "Won't it be nice when all this beastly killing is over, and we can enjoy ourselves and not hurt anyone? I hate this game." Ball was awarded Victoria Cross for his outstanding bravery from April 25 to May 6, 1917. He took part in 26 air battles against enemy airplanes. The Distinguished Service Order was awarded to him in recognition of his commendable skills and courage in attacking enemy aircraft at a 15 yard range. He was given a bar for Distinguished Service Order for attacking eight enemy machines in succession. A Military Cross was given to him when he destroyed an enemy kite balloon bringing it down in flames. This picture of Albert Ball is Copyright ï¿½ June 2014 Siteseen Ltd. We only allow this picture to be used for printed non-commercial purposes and particularly encourage it's use for printed educational non-commercial purposes. This Albert Ball picture is not in the Public Domain. 3) Use of this Albert Ball picture, or any of our pictures on websites re-distributing copyright free material is strictly prohibited.